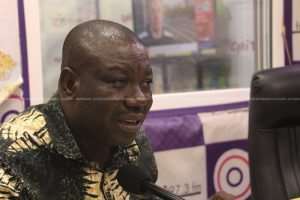 Ghana exited the International Monetary Fund (IMF) programme without achieving its objectives, Member of Parliament (MP) for Bolgatanga Central, Isaac Adongo has said. Mr. Adongo said this while commenting on Ghana's current economic challenges. “The IMF at a point got fed up with us. We had come to a point where we have left the IMF without achieving the objectives of the IMF programme. As a matter of fact the IMF at a point got tired of us … The risk of it all is that the managers of the economy do not seem to know where we are and that is a bigger problem,” Mr. Adongo said at the party's public lecture. He also urged the government to implement the recommendations of the International Monetary Fund. The NDC’s lecture comes on the back of the Government’s Economic Management team’s town hall meeting held on Wednesday. Ghana has officially exited the International Monetary Fund (IMF) programme. The Vice President, Mohamadu Bawumia said Ghana officially exited the IMF’s extended credit facility arrangement on Tuesday, April 2, 2019. “…It was only on Tuesday that Ghana formally and successfully completed the IMF programme that we inherited in 2017,” he said at a town hall meeting on Wednesday. Ghana entered a US$925.9 million three-year arrangement with the IMF in April 2015 following issues with the economy. It was extended for an additional year on August 30, 2017. The final tranche of the payment hit government accounts on March 29, 2019. The arrangement was aimed at restoring Ghana’s debt sustainability and macroeconomic stability to foster a return to high growth and job creation while protecting social spending. During the programme implementation, there was a freeze on employment into government departments except for those under education and health. President Nana Akufo-Addo had expressed hope that this IMF deal would be the last in the history of Ghana.